The Color Rendering Index (CRI) is the go-to measure when speaking about the quality of different sources of light; the CRI rating can have a big effect on the reproduction of colors in your video shoot, so it’s important to keep in mind when selecting and using lights. However, do not confuse it with “color temperature,” which describes other aspects of light. As a general rule, any source with a CRI rating of 90 or above will faithfully render colors. Most good tungsten sources will have a CRI rating of 90 or above — often over 95. Sunlight will have the best CRI rating of all. The following is an example of the CRI rating of sunlight. Notice that the rating divides into eight different colors. This is a problem when using the CRI rating to analyze manufactured light sources — the sampling is only an average of eight colors. It is possible for a light to have a good CRI rating in regards to these eight colors, but it could still have a low rating beyond these color samples. It may not score highly for a deeply saturated red, for example, which would lower the rendering rating. Some LED lights can show large variations in different parts of the color spectrum when compared to tungsten or daylight; therefore, it is necessary to look beyond the standard eight colors when analyzing LEDs in particular. The Television Lighting Consistency Index (TLCI) is an improvement upon the CRI rating. It samples twenty-four colors, and it is more reliable for analyzing how light renders on a camera’s sensor. However, this index was initially for broadcast television cameras and arguably does not account for single-chipped cameras that are more common in the film and video industry. 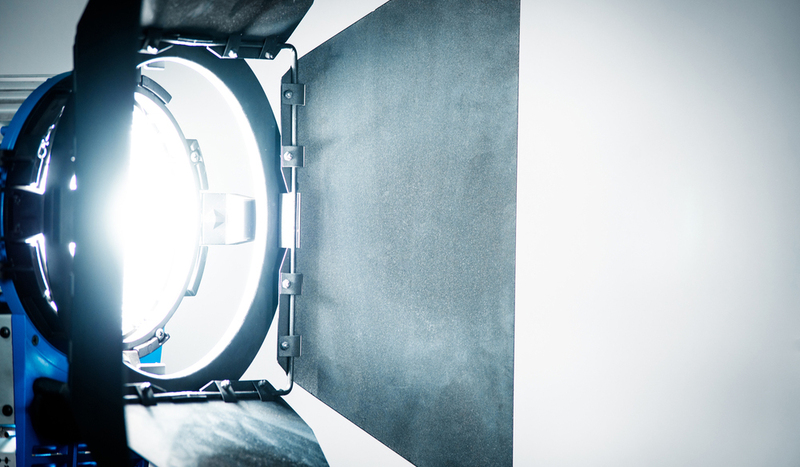 The Extended CRI rating (sometimes referred to as Special CRI) is the most useful for the majority of film and video applications. It is also what the Sekonic C-700 will display. The Extended CRI rating adds R9 – R15 colors to the standard CRI samples — including, most importantly, R9 Saturated Red, R13 Skin Color (Light), and R15 Skin Color (Medium), which are all difficult colors to faithfully reproduce. This is as close as you are likely to get to a perfect CRI rating on a spectrometer on set. It shows that even sunlight is not getting a full 100 rating. This could be due to any number of reasons — even bounced light affecting the reading. However, it is a very good gauge of the reliability. If we now look at a cheap LED, you will see a big difference. There are many areas of the color spectrum that this light will not render correctly. This would most likely result in odd hues in skin tones or other color casts within the image that are unexpected, undesired, and uncontrollable. However, the manufacturer could justifiably give this light source a CRI rating of 83. This is not an excellent rating but, at first glance, should at least imply a decent rendering of most colors. If this light source is priced well, it may be a viable alternative to more expensive options. Now the importance of the Extended CRI rating becomes more relevant. One can’t use sources such as this and expect faithful color reproduction across the spectrum. You would likely see similar inconsistencies with other cheap sources, most commonly with halogen and fluorescent lights. So, if you are looking to save money when renting or buying LEDs, halogens, or fluorescents, then always start by checking for an Extended CRI rating or a TLCI rating. If you can’t find one, consider renting a spectrometer and checking the rating yourself. Do you have tips for assessing lighting sources? Let us know in the comments.